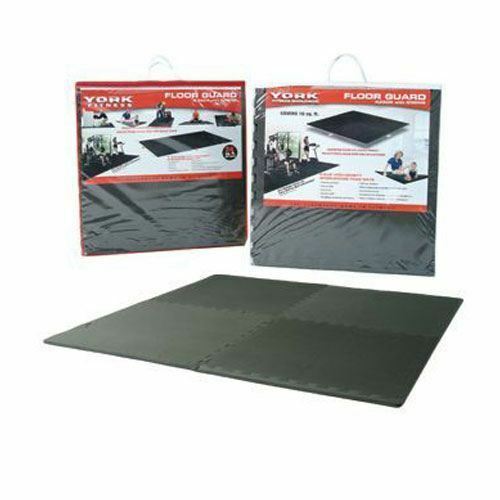 for submitting product information about York 4 piece Interlocking Mat We aim to answer all questions within 2-3 days. for submitting product information about York 4 piece Interlocking Mat. We aim to answer all questions within 2-3 days. If you provided your name and email address, we will email you as soon as the answer is published. Good mat for using under exercise machines or on its own. Bought with exercise bike so had discount otherwise may seem expensive. Does the job. for submitting product review about York 4 piece Interlocking Mat.